First is removing the old caulking, then making sure all the surfaces are clean before acid etching on porcelain tubs. Fiberglass tubs are sanded instead of etched. Next is protecting the area and then applying the acid etch. 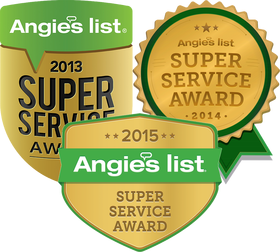 Without etching, the surface won't adhere well and most likely peel or flake off after a short time. Some refinishers will skip this step. Next is drying the surface, then marking any chips and filling them with fiberglass filler. After sanding any fiberglass the area is masked off to protect from any overspray and an exhaust fan is set up. A heat lamp is also used in the colder weather. 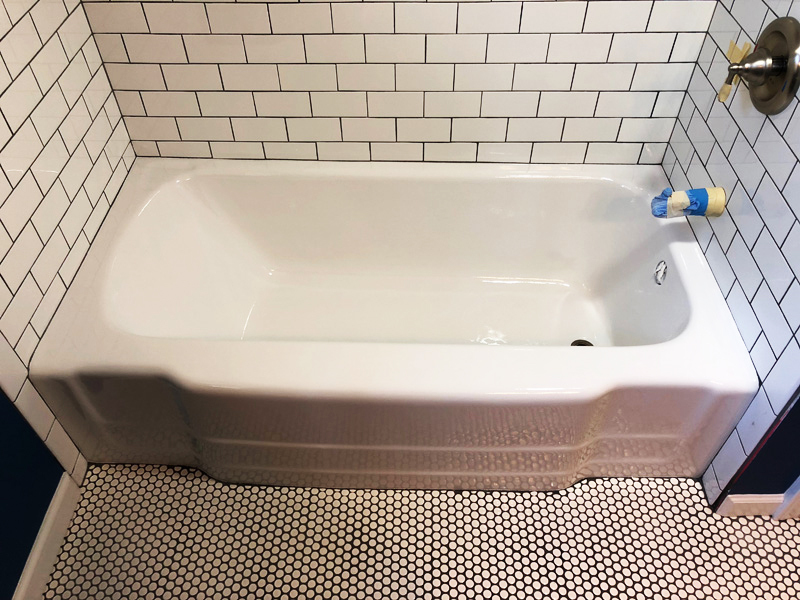 After tacking the surface to remove any dust particles I spray a two-part epoxy primer formulated just for tub refinishing. It has an extra additive for better bonding to surfaces. Again, some refinishers will skip this step. 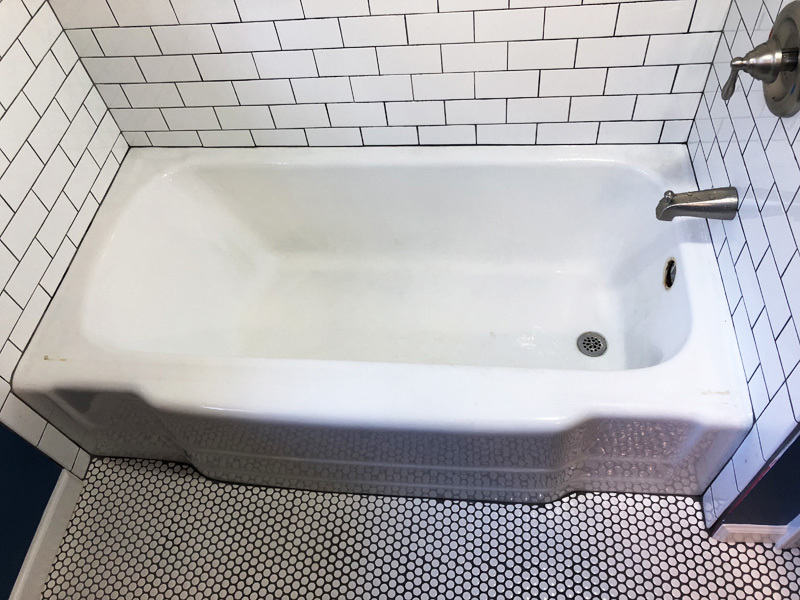 I don’t cut any corners, so that your refinished tub will last as long as possible. After a short drying period of the primer the final coatings are applied. I spray three coats of a two-part high solids urethane allowing drying time between coats. This product takes a bit longer to cure than some other products I could use, but I feel the superior durability is worth the extra drying time needed. I’ve tried some fast-drying finishes but they lack the gloss and durability of the product I use. I use a HVLP turbine spray unit to provide a smooth high gloss finish. I take pride in my work and strive to have every refinished tub look better than new. I take extra care to get the surface as dust free and consistently smooth as possible. 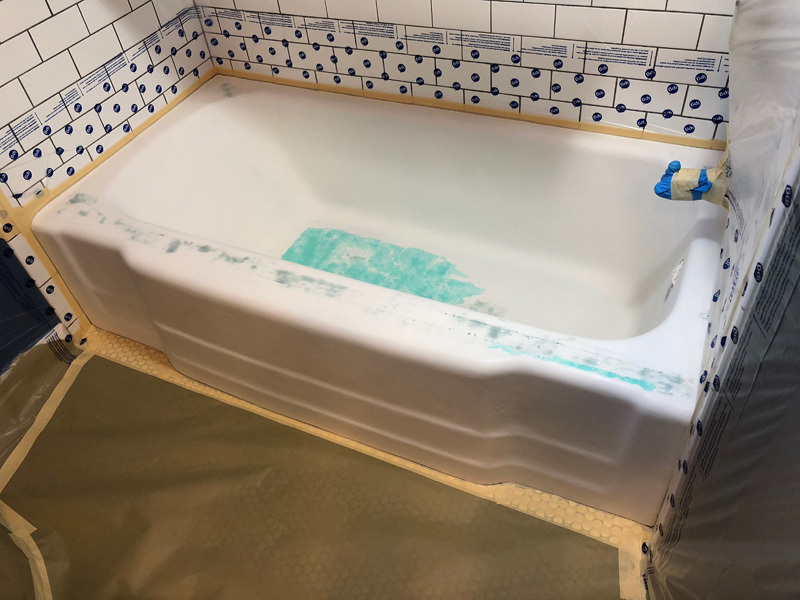 When the surface is dry enough I untape and then normally caulk the surrounding edges of the tub. The job normally begins around 9 a.m. and we're usually finished and out of the house by 2 to 3 p.m. Preparation is the key to a long-lasting surface! Beware of refinishers offering lower prices that may skip important preparation steps even though they say they do them. If your finish doesn’t hold up it will cost more to have it done properly than the money initially saved!